Midtown Manhattan is a well known neighborhood in Manhattan. Midtown Manhattan is one of the more popular neighborhoods in New York City, as it is the mekka of Manhattan with all of it’s tourist attractions. It is also one of those neighborhoods where everyone wants to live because it is so scenic, so close to everything and anything, and the area is known for having a lot of luxury apartments. 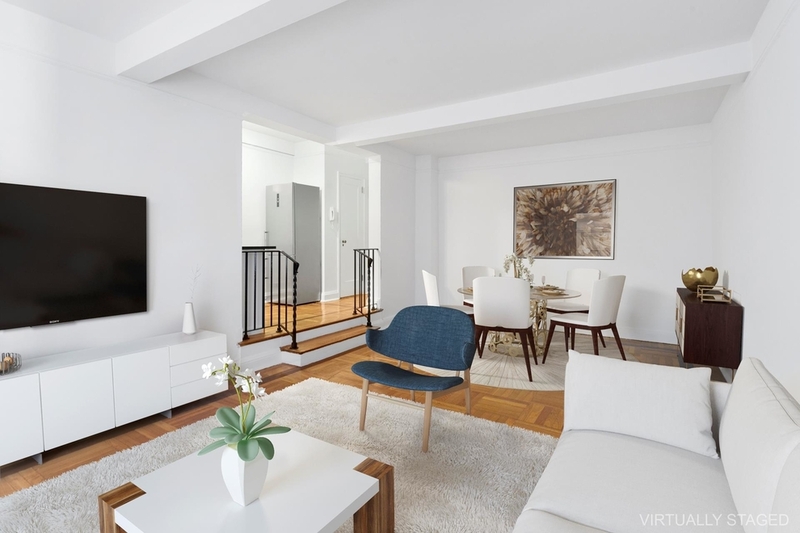 There are a lot of stunning places you can call your next home around Midtown Manhattan for under $800,000. Like this gem, located in Murray Hill. This co-op is overall stunning with its ultra-modern design, it is spacious, and it also comes with a private outdoor space and a wood-burning fireplace! Built in 1965, this studio screams luxury. It is newly renovated with a smart layout, making this studio apartment look quite big in size. 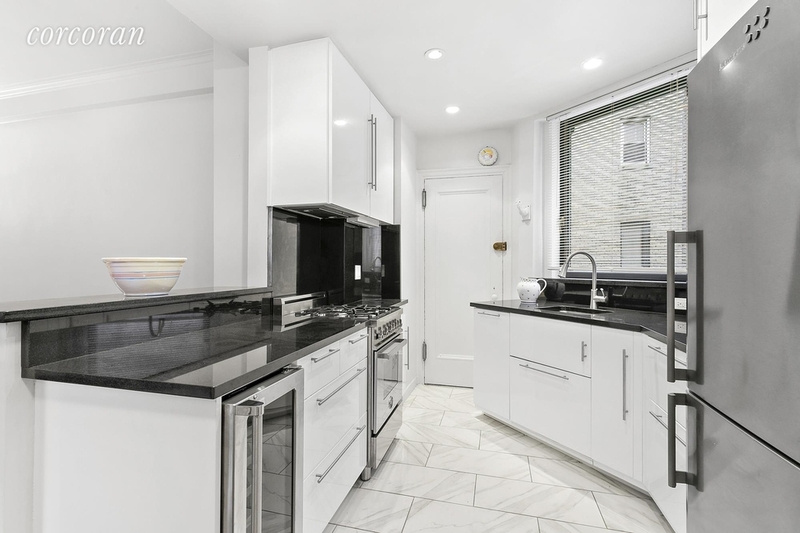 It is renovated, comes with a beautiful open kitchen with a breakfast bar, refinished solid oak floors throughout and it also has a 360 view of Manhattan from the landscaped roof deck. And if that wasn’t enough, there’s also a newly renovated fitness center in the building. Yet another stunning apartment for less than $800,000, more precisely for $550,000. 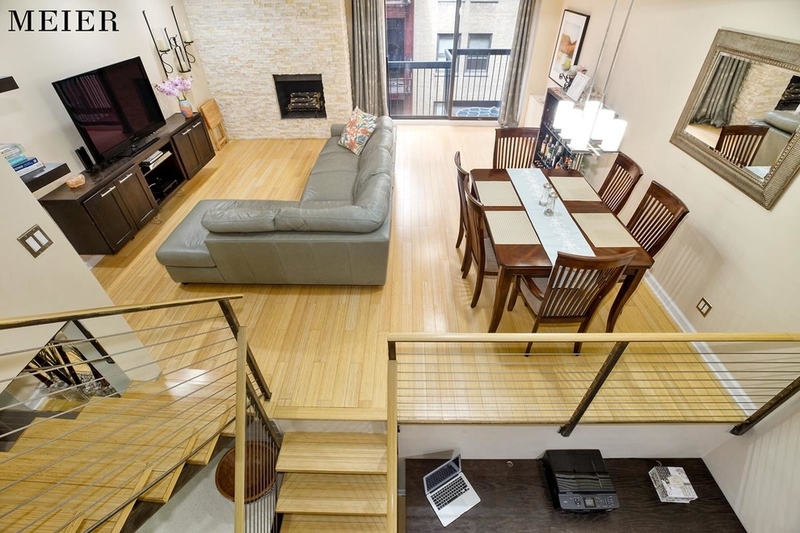 This is a spacious Jr. 1 bedroom, 1 bath, located in Murray Hill. The layout catches our eyes, as it has a sunken living room which definitely makes the space look bigger along with the high beamed ceilings! You also have access to a fantastic roof-garden with panoramic views of the Empire State and the Chrysler building. And of course, it comes with a gym, central laundry room, and so much more. Built in 1929, this charming 1 bedroom, 1 bath needs no convincing that it is stunning. 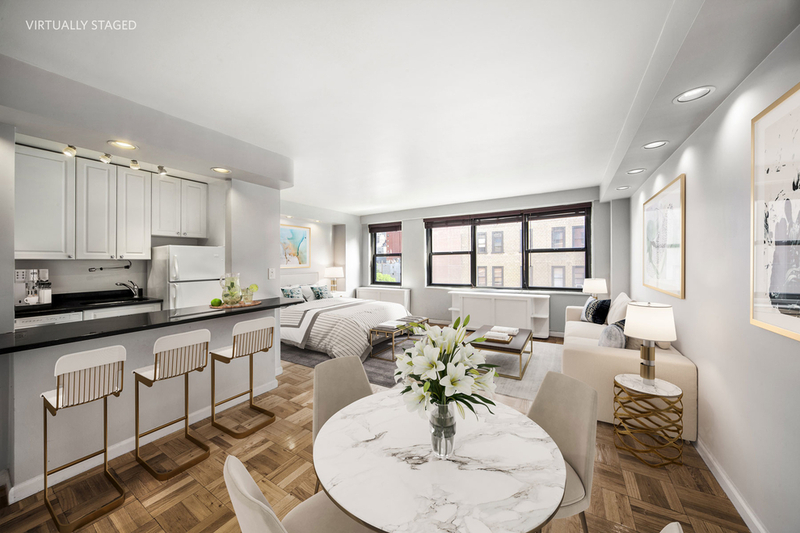 The pictures speak for itself with a bright, large living room with views of the Chrysler building, the charming look of the modern kitchen, and the bedroom with the big windows that provide tons of natural sunlight. It also comes with a fully modern bathroom, with a walk-in shower. For only $685,000 you can get this 1 bedroom, 1 bath apartment in a full-service building located in the trendy neighborhood of Murray Hill. This 750 sq ft apartment is spacious, it has plenty of closets throughout the apartment for storage, and the living area comes with a separate dining in the foyer outside of the kitchen. And when we say full-service, we mean doorman, garage, rooftop, indoor pool, sauna, and so much more. It is definitely one worth checking out. 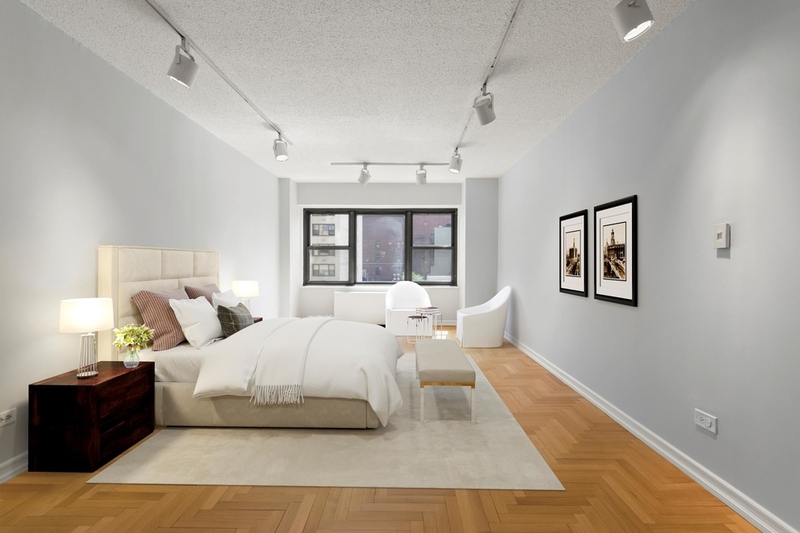 Another option is yet another 1 bedroom, 1 bathroom located in Midtown East. This co-op is 775 sq ft and is located in a building built in 1928. The apartment is spacious, modern, and has a modern open kitchen. The apartment is bright and big, with its 9’6” ceilings. It also comes with a fireplace in the living room and a walk-in closet in the bedroom! If you want more for your buck, this studio apartment has a smart layout that gives you just that! This sleek studio apartment has a minimalistic approach with an open loft design. 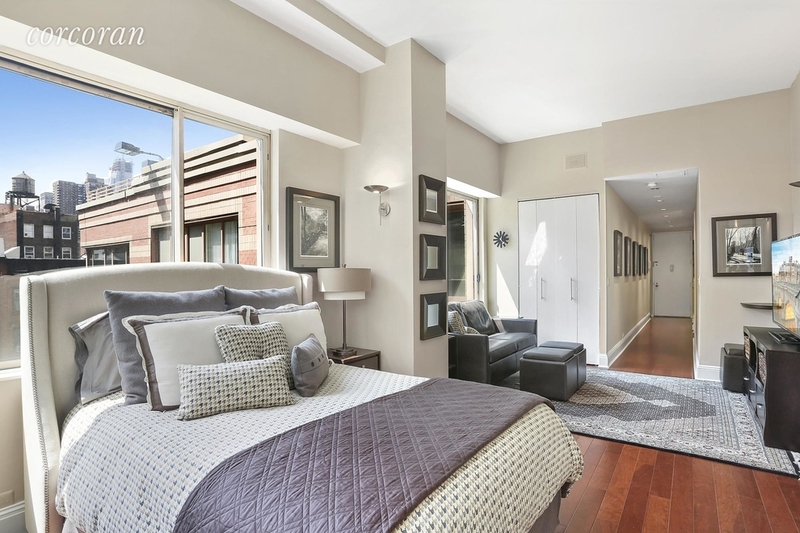 The ceilings are 13.5 beamed ceilings, there’s a custom designed murphy bed to create more space, and it also comes with a sleeping loft that can comfortably host two guests. The bathroom is nothing short of spectacular as well, and the place comes with a landscaped roof deck! Can you get any better than this location? This condo 1 bedroom apartment is located in the middle of Midtown Manhattan, specifically in the Theater District. For $775,000 you get a 525 sq ft newly renovated 1 bedroom apartment in a luxury building with a 24-hour concierge, fitness center, and rooftop deck. And of course, the dream location. The spacious living room is what really sells the place. 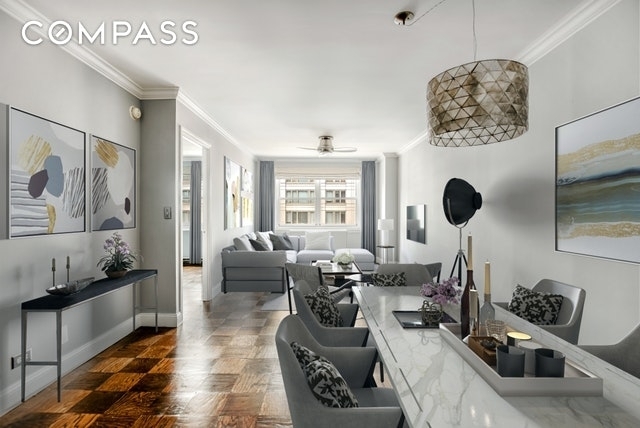 While the rest of the apartment is also gorgeous, the size of the living room is pretty awesome for a 1 bedroom in Kips Bay for under $800,000. For those who enjoy hosting dinner parties looking for a 1 bedroom apartment, this would be a great deal for you. 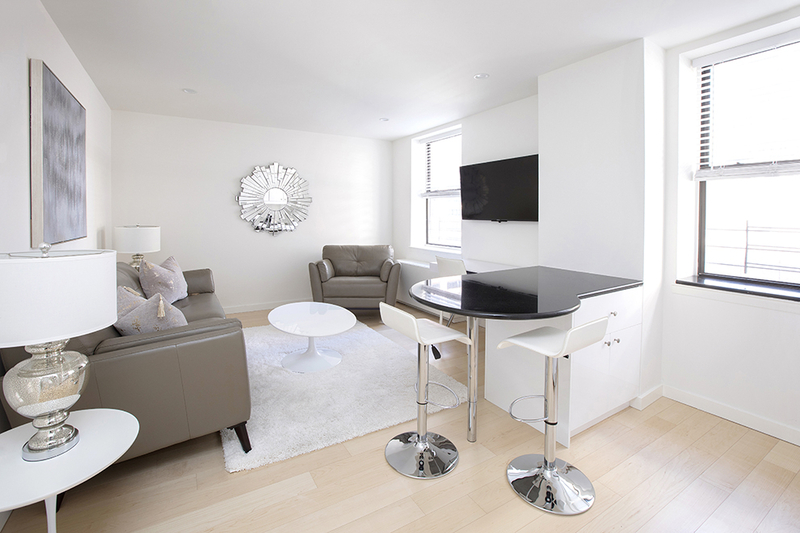 The rest of the apartment is also spacious, and the apartment is located in a 24-hour doorman building with a garage. And, it’s pet-friendly! This studio apartment is great for those looking for a lot of natural sunlight. Thanks to the numerous big windows in this space, this big studio apartment gets a lot of sunlight. It also comes with a 26-foot entry hall, a renovated kitchen with granite counters, and high ceilings. This studio apartment is also located in a 24-hour concierge building and it has doorman, laundry rooms (plural), and a courtyard for the residents.